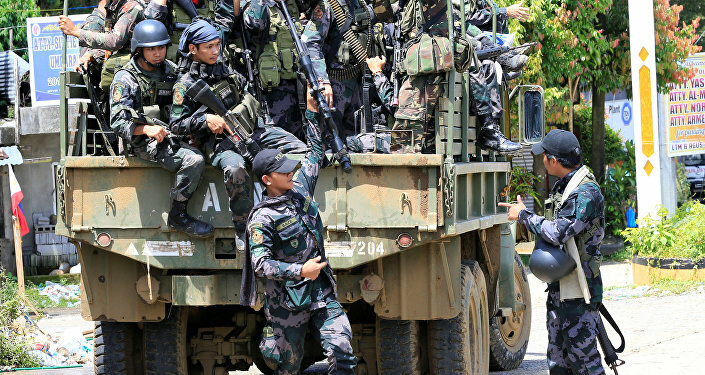 The Philippines are getting millions in weaponry from China in a move to fight Daesh. Philippines Defense Secretary Delfin Lorenzana said that Beijing has donated $ 7.35 million in weapons and ammunition to fight the terrorists. Chinese weapons will contribute to the army of the Philippines in its fight against the terrorists, the Chinese Ambassador to the Philippines, Zhao Jianhua, said at a ceremony. The automatic weapons were personally tested by the President of the Philippines, Rodrigo Duterte, during the ceremony. He expressed sincere gratitude to Chinese President Xi Jinping for the gift. 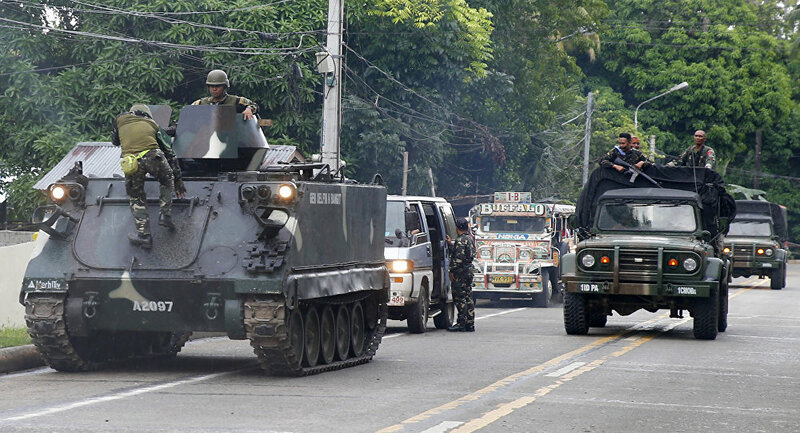 Apart from the military assistance that these weapons will provide in the ongoing conflict in Marawi on Mindanao Island, the transfer of weapons also marks a new era in the relations between the armed forces of the two countries, the ambassador said. The Chinese ambassador also said that the second batch of military assistance is currently being assigned and will soon be delivered to the Philippines. According to him, terrorism is the enemy of both China and the Philippines and it requires the armed forces of both the countries to expand cooperation. The diplomat noted that the Chinese side is ready to contribute in the joint training of military personnel, an exchange of intelligence, and to conduct joint military exercises to combat terrorism. Furthermore, China will donate 5 million Philippines pesos (about 100,000 USD) to the families of servicemen who died in battles with the terrorists in Marawi and to the wounded soldiers. According to the official data, during the fighting about 400 people, including 290 fighters and 70 military personnel were killed. Rodrigo Duterte said that China, being a “good friend, understands” the gravity of the situation in the fight with the militants. Following the recent events, the Western media has noted that the President of the Philippines has started doubting his ability to rely on American aid. Recently, for example, he noted that he is not aware of any technical assistance from the US to the Philippines troops fighting in Marawi. The Philippines is linked to the United States by a treaty on mutual defense; for a long time, the country relied on American weapons exclusively. However, according to Daria Panarina, an expert at the Institute of Oriental Studies at the Russian Academy of Sciences,, Rodrigo Duterte has a good reason not to trust the US now. “In November 2016, the United States stopped weapons supplies to the Philippines. Back then, a large batch of rifles was to be shipped. The US canceled this deal on the pretext that the president [Duterte] was conducting a very inhuman policy towards his own people, first of all, in his fight against drug trafficking in the country,” Panarina said. She further said that if he plans to follow such an ultimatum from the US, Duterte would be wise to look for other partners. He was not going to follow the US wishes and advice on how to run his own country as President. “Now he is satisfied with any help from any country, especially if the weapons he receives are better than what the US provided him with in terms of both cost and quality,” the expert said. Over the years, the United States has been the main partner of the Philippines in all areas, including providing various weapons. However, as a rule, these were military vehicles which had already been written off, as well as airplanes and rifles. The armament was not new and often worn out. The expert further said that on the other hand, China makes an important partner for the Philippine President because it provides him with support in many sectors, primarily in the economy. Over the past six months, the parties signed agreements worth almost $ 25 billion. Center for the World Economy and Development of the Chinese Institute of International Affairs Jiang Yuchun said that with the current President of the Philippines, there is a reliable basis for the progressive development of Sino-Philippine relations. “China and the Philippines in recent decades have consistently maintained friendly relations. In recent years, there have been some disagreements over the issue of the South China Sea, to which the non-regional countries have considerably contributed, which damaged bilateral relations,” Yunchun said. However, with the coming of Duterte, the Philippines chose a strategy of rapprochement with China, as a result of which bilateral relations returned. “Moreover, in the sphere of economic support, China, to the best of its ability, invests in ASEAN countries, including the Philippines. The last decade is rightfully called ‘golden’ for the development of China's relations with ASEAN. In the future we expect a ‘diamond period’ of relations,” he said. He added that the increasing economic assistance between the two countries is a natural consequence of the development of these bilateral relations. “In the future, appropriate contact and collaboration, especially economic cooperation, can be raised to a new, higher level,” the Chinese expert concluded.